CATBALOGAN CITY – Samar Solon Representative Mel Senen Sarmiento urged aqua culture farmers to include climactic change program in all projects of the government, including the Green Program. He added that he himself has promoted Green Projects through supporting the vast tracts of land in Gandara which was empty by providing some 50,000 coconut seedlings for farmers to plant. Another must he pushed them to do is Mangrove Tree-Planting. “Water is a major source in Samar, we can use water for power generation, irrigation, and simply return it to the seas still clean and sanitary,” Sarmiento said. “We therefore should use water the nature or God’s way. God placed mangroves to clean the water from microbes in protecting our fish and other marine life, thus, the need to plant more mangroves,” he said. “Let us walk the talk,” Sarmiento said. “The government is the people, each one should do his role in the value chain,” he added. He alluded to the German private partner who said that the private sector cannot do it all alone without the government support. “Every sector and individual should therefore help [one another]. That’s why I’m asking all national government agencies (NGAs) present today, to provide me with a Score Card indicating what you need to ensure the funds we need. I will do my share, my best…. As the new Vice-Chairman for Appropriations in the House of Congress!” he emphasized. Samar’s First District Representative raised the importance of the proper execution of disaster risk reduction-related laws, while Mayor Ramon Ilagan of Cainta stressed that communities must be able to withstand the impact of worsening disasters and climate change. Sarmiento said that "laws such as the Disaster Risk Reduction and Management Act, the Climate Change Law, and the Solid Waste Management Act, should be translated into concrete actions that would build the resilience of our country to disaster and climate change impacts. We have had too many disasters in the past years and these catastrophes have stalled our progress as a nation. We have to ensure that the policies we have are implemented well, otherwise, the laws we have worked hard on would not truly serve their purpose." Sarmiento was among the participants of the Legislative Workshop on Effective Disaster Risk Reduction and Climate Change Adaptation in the Philippines, held in Incheon, South Korea in July 2011 and signed the Incheon Resolution, which primarily urges members of the legislature to exercise their oversight function in the effective implementation of DRR and CCA laws. CATBALOGAN CITY – The Department of Public Works and Highways (DPWH) in its planning for 2013 Infrastructure Program seminar bared that it will uphold its current mantra on right project, right cost and right quality. In a press release signed by Engr Virgilio Eduarte, District Engineer of the DPWH Samar’s First Engineering District and sent to PIA, it said that the participants in the seminar were enjoined to be guided by the strategic policies and programs which include: good governance, anti-corruption program, upgrading the quality and safety of national road and bridges and strategic convergence. According to Engr. Raquel Sumayo who is the Chief of the Planning and Design Section, planning follows the Project Development Cycle of the department. Data collected which are the output of the Roads and Bridges Inventory and Analysis (RBIA) go through evaluation and analysis before a final list of projects is released. Meanwhile, the same engineering district also held a seminar on Detailed Unit Price Analysis (DUPA) where they talked about the preparation of program of work with emphasis on detailed unit price analysis. It also stressed on the output per item, the rate of labor and equipment on a per hour basis. NAGA CITY, Cebu – Greenpeace today welcomed the decision of the Naga Municipal Trial Court (MTC) to acquit activists charged with trespass during a December 2009 action to document toxic coal ash from the Naga coal-fired power plant that had been dumped in a public area in Barangay Tinaan. Greenpeace carried out the peaceful protest to call attention to the threats posed by coal ash to the health of residents and the environment. “Activism is not a crime. And we are very glad that the judiciary recognizes this. But we repeat our call to the provincial government to get its act together. Coal ash – a toxic by-product of the coal-firing process from the power plant – was dumped in an area posing a threat to the health and livelihoods of the Barangay Tinaan community. The risks have also increased as more coal ash continues to be produced by the coal plant and threatens other areas in Cebu, and there are still no clear plans for proper disposal.” said Mark Dia, Country Representative of Greenpeace Southeast Asia. Results of tests conducted by Greenpeace in 2005 from ash samples taken from the Naga and Toledo coal-fired power plants in Cebu revealed the insidious presence of mercury, which is a deadly neurotoxin; arsenic, which is a known carcinogen; as well as other hazardous substances such as lead and chromium. “The provincial authorities wasted time and taxpayers’ money for over two years by trying to criminalize activists who simply exercised freedom of expression, taking action that they themselves should have taken to protect the community” added Amalie Obusan, one of the activists charged in the case. Greenpeace campaigns for the only long-term solution to this problem – to phase out the burning of fossil fuels, such as coal, one of the most polluting energy sources – and to rapidly develop the Philippines’ abundant renewable energy sources. Developing and using renewable energy is the smart choice for the economy and for the climate. Fossil fuel prices are rising and will rise much more steeply once all the social and environmental costs are factored in. “Coal, as well as other fossil fuels will run out and it is recognised globally that we cannot keep pumping greenhouse gases into our atmosphere at the current rate for much longer without suffering ever more dangerous climate impacts. Renewable energy never runs out and is clean and sustainable,” added Dia. Coal-fired power plants have also been identified as the single biggest source of carbon emissions, largely responsible for climate change. The loss of thousands of lives and economic ruin brought about by recent extreme weather events, such as Sendong, Ondoy and Pepeng, are either aggravated by or can arguably be traced to climate change and the havoc it wreaks on the planet. Greenpeace is thus advocating an “Energy Revolution” (ER) – a transformation in the way energy is used, produced and distributed – as a key solution to mitigate climate change. This entails a massive shift to renewable energy and energy efficiency technologies. Greenpeace has identified a target of 50% RE in the Philippines’ energy mix by 2020 as not only achievable but imperative for avoiding dangerous climate change, for energy security and for sustainable economic growth. The Efren Martires Command of the New People's Army-Eastern Visayas today said the guerrilla offensive in Lapinig, Northern Samar last Jan. 20 highlighted the NPA's growing strength as well as belied the arrogant posturing of the Armed Forces of the Philippines. The EMC spokesperson also apologized for the wounding of Romeo Senobio, Jr., reportedly a civilian, and said the NPA is investigating the matter. “The NPA never targeted, manhandled and shot Senobio, among other malicious allegations of the 8th ID. As a matter of responsibility, the NPA is looking into how Senobio was hit in the exhange of fire between the Red fighters and Menzon's bodyguard Jullata. The NPA members are subject to disciplinary action if civilians are put at risk, unlike the military which wallows in impunity for rights violations. Manuel also slammed the military for concocting rights violations and ordinary crimes against the NPA. “It's all over the news that the military is washing its hands over ongoing rights violations in Northern Samar. How dare the military divert the public's attention over such atrocities by hurling false accusations against the NPA. A human rights mission documented this January at least 37 rights violations by the 8th ID while carrying out Oplan Bayanihan in the Northern Samar towns of Catubig and Las Navas. A civilian, Jovito Pajanustan, was a victim of torture and extrajudicial killing by those believed to be military elements. Even children were not spared as hundreds of them suffered trauma from military operations, such as soldiers taking over and using day care centers as barracks. TACLOBAN CITY – At least five million LGU-sponsored underprivileged families whose health insurance coverage expired last December 31, 2011 can still avail of the health care benefits from PhilHealth-accredited facilities until March 31, 2012. Ms. Marimar Zabala, PhilHealth Tacloban information officer, said that this was announced by PhilHealth President and CEO Dr. Eduardo P. Banzon who said the extended validity period will not entail any additional cost to the sponsoring Local Government Units. Ms. Palacio said that this development will ensure the continued health insurance coverage of over ten million low-income and marginalized families who are enrolled under the Sponsorship Program. These include the 5.2 million poor families identified by the National Household Targeting System for Poverty Reduction (NHTS-PR) of the Department of Social Welfare and Development (DSWD) and whose coverage comes with National Government funding. The PhilHealth Sponsorship Program provides health insurance coverage to less privileged families through a partnership where health insurance premiums for a year's coverage are paid in behalf of deserving members, Ms. Zabala explained. The annual premiums of enrolled families are jointly shouldered by the National Government through PhilHealth and sponsors such as local governments, private individuals with philanthropic hearts and private corporations whose thrusts include poverty alleviation as an agenda in their corporate social responsibility (CSR) programs. Members of Congress also join the program as sponsors through their Priority Development Assistance Fund or PDAF, Ms. Zabala added. Meanwhile, in order to address LGUs’ concern over the increase from P1,200 to P2,400 per year, in premium contribution rate starting this year, PhilHealth has developed a new payment scheme will make it easier for LGUs to renew their sponsorship of the indigent families’ coverage, Ms. Zabala said. LGUs that opt to renew their sponsorship for two years until December 31, 2013, and undertake the renewal through a Memorandum of Agreement (MOA) on or before June 30 this year, will be entitled to an additional three-month extension of validity date up to June 30, 2012. Under this arrangement, the LGU will enjoy an effective premium rate for a two-year enrolment of only P1,800 per enrolled family. If the LGUs decide to bring in new or additional enrollees into the Sponsorship Program and commit to provide them with coverage until December 31, 2013, they will be able to enjoy a two-year premium of P2,400. However, the new enrollees should be committed into the Sponsorship Program on or before June 30 this year for the LGU to enjoy this premium rate. Otherwise they will already pay the new rate of P2,400 for every year of coverage, Ms. Zabala said. MAKATI CITY – A total of 14 public schools will vie for the top prize in three online contests conducted simultaneously by Smart Communications, Inc. (Smart). Finalists of the 4th Doon Po Sa Amin (DPSA) Learning Challenge, “Ano ang Kwento Mo?, and DPSA Quest will have a chance to showcase their entries during the awards ceremony that will be held during the 8th SWEEP Innovation and Excellence Awards on February 22, 2012 at the SMX Convention Hall. Eight have made it to the finals of the DPSA Learning Challenge: Bataan National High School, Barobo National High School, Camiguin National High School, Cavite National Science High School, Gen. E. Aguinaldo National High School – Bailen, Misamis Occidental National High School, Naga City Science High School and Olongapo City National High School. Four schools have also been shortlisted from 170 entries submitted by 66 schools to “Ano ang Kwento Mo”. These are Barobo National High School, Jose J. Leido Jr. Memorial National High School, Manggahan High School and Naga City Science High School. Meanwhile, the DPSA Quest has drawn 28 entries from 12 schools, two of which have entered the finals. These are Naga Central School 1 and San Roque Central Elementary School. All three online contests are part of Smart’s efforts to encourage schools to use computer and Internet technologies to contribute web-based information and educational materials about their respective communities under its DPSA project as part of its ‘Internet for All’ advocacy. Smart introduced the DPSA Learning Challenge in 2008. The competition, which is exclusive to SSP partner high schools and Online Associates nationwide, requires teams to perform basic community mapping exercises to generate local content which will help their respective communities be educated about and/or address pertinent local problems or issues. This year’s search has drawn a total of 137 entries from 31 schools. In 2011, Smart introduced two more online contests. "Ano ang Kwento Mo?" (What's your story? ), attempts to get students from all schools nationwide to create video blogs that feature a distinct characteristic, place, or culture in their communities. Topic categories include Arts and Culture, History and Society, Travel and Cuisine, and Environment and Disaster Preparedness. The DPSA Quest engages teacher-student teams from SSP partner elementary schools and online associates to research unique stories about their respective communities and narrate these stories online through their blog sites. The screening of entries was done by a panel of judges composed of the Department of Education’s (DepEd) Albert Erni of the Bureau of Secondary Education, Thea Joy Manalo of the Bureau of Elementary Department and Romeo Parayno of Adopt-a-School; Netlearn Ventures, Inc.’s Christopher Lorenzo and Lloyd Anthony Layug; Jaime Manuel Flores of the Ateneo Communication Department and Roger Chua of Web Philippines, Inc. Entries of all the finalists can be accessed via www.doonposaamin.ph. QUEZON CITY – A desperate and discredited minority of the General Council of the Trade Union Congress of the Philippines (TUCP) tried but failed to grab power from the duly constituted officials and take over the compound last night. A minority faction of the TUCP council led by former TUCP Secretary-General and former Senator Ernesto “Boy” Herrera attempted to forcibly enter the TUCP premises last night, a day after the General Council formally voted him out as TUCP Secretary-General due to an externally audited discovery of large sums of financial anomalies, loss of confidence and gross mismanagement of TUCP affairs during his tenure. He was replaced by Mr. Victorino Balais, president of Philippine Trade and General Workers Organization (PTGWO) by the TUCP General Council on January 24, 2012. PTGWO is one of the biggest labor federations in the country and has been a member of the TUCP since its founding in 1975. Mr. Herrera’s action last night in trying to take over the TUCP compound was a clear attempt to take custody of damning financial records on his handling of TUCP grants and general funds. We believe that he intended to white wash his involvement in the handling of these funds. He was accompanied by TUCP former Vice President Roberto “Bobby” Flores. But due to the timely arrival and continued presence of the police from the Quezon City Police District Station 9, his attempt to cover up his malfeasance of these funds and to perpetrate himself in power through a rump council and through a takeover of the compound without any General Council authority was thwarted. “The TUCP condemns the series of illegitimate acts and overt attempts of Mr. Herrera to grab power and arrogantly impose himself as the President of the TUCP. His irrational behaviour last night magnified his embarrassing fall from grace. His actions show a reckless disregard in upholding the interest of the TUCP as he attempts to drag the entire organization into the mud with him. On that regard, I would like to apologize to our social partners and supporters for the confusion as a result of his misrepresentation; and, to our brothers and sisters for the pain and anguish that Mr. Herrera has caused. Mr. Herrera’s irresponsible behaviour will never be condoned by anyone from the TUCP. The TUCP General Council Resolution 01-2012, otherwise known as a resolution of confirmation of continuing support to me as President of the TUCP, and the TUCP Minutes of the General Council Meeting on January 24, 2012 will bear us out. I tendered a letter of resignation as TUCP President on October 19, 2011 effective November 1, 2012 to bring up discussions on major transparency and accountability issues in TUCP. I later, retracted my resignation after the General Council refused to act on the letter and even as they pleaded for me to remain and continue as TUCP President. However, now, Mr. Herrera wants to assume the presidency. He claims taking his oath of office on November 11, 2011 before Manila Mayor Alfredo Lim and sent letters afterward to the Secretary of Labor, major international labor organizations and other agencies misrepresenting himself as the TUCP President. He also set up a rump group of minority members of the TUCP General Council to inflate his ego. Let me reiterate that of 25 affiliates, 18 remain under our leadership in the TUCP. The General Council has deemed these acts as illegitimate and acts of disloyalty inimical to the interest and earned reputation of TUCP. 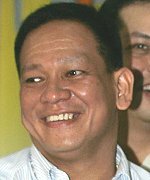 The General Council replaced Mr. Herrera with Brother Victorino Balais as Secretary-General of the TUCP on January 24, 2012. Mr. Balais is the president of the Philippine Trade and General Workers Organization (PTGWO). On that regard, I wish to assure our supporters, partners, and affiliates that I am in control and in command of all the federations, offices and continue to enjoy the recognition and support of local and international organizations and governments. This is because of the trust reposed upon me by the majority of TUCP General Council, whom I will serve as President until December 2012. I also wish to convey to the public that the good men and women in TUCP are doing their best in dealing with this issue for the sake of the highest best interest of the trade union movement in the Philippines.